For the second year in a row, the Asian Poker Tour kicked off its calendar season in Ho Chi Minh City, Vietnam. Alike the previous opener, it was a smash with the room jam packed everyday. The festival has been running since January 9 and will conclude on January 20. The first of the two guaranteed events completed along with numerous side events. Below are the early winners. A commanding victory for India’s Abhinav Iyer at the first featured tournament of the festival. Iyer topped the 576 entry field to pocket his largest live tournament career score of VND 2,269,092,000 (~USD 97,000). This was also Iyer’s first-ever major international win. The Main Event advertised an 8BN guarantee which was easily crushed and replaced with a prize pool of VND 11,174,400,000 (USD 481,000). Due to the new pay table, only 10% got paid with the top three spots earning billions (in Dong). For a brief recap, according to the reports, Iyer entered the final 8 round with a dominating lead. He proceeded to railroad the table, knocking out six of the seven challengers. The final 8 wrapped up in just three hours. Among those that cashed out side of the final 8 were: Huu Dung Nguyen (11th), Duy Ho (14th), Siyang Phua (17th), Alan King Lun Lau (22nd), Jae Wook Shin (23rd), Van Ngoc Binh (25th), Xiaosheng Zheng (32nd), Phan Dinh Nam (37th), Dhaval Mudgal (49th), Lim Yohwan (50th), and Soo Jo Kim (53rd). Vietnamese payer Van Ngoc Binh is the only local so far that has won an event. Binh rose above the 89 runners of the High Rollers event and overcame a loaded final table with the likes of Dhaval Mudgal, Iori Yogo, Dinh Xuan Dinh, and Le Ngoc Khanh around the orbit. Binh captured the VND 1,153,551,000 (~USD 50,000) first prize. Prior to this win, Binh also cashed at the Main Event for his 25th place finish. The Super High Rollers event had 28 entries and with each buy-in at VND 107,500,000, the prize pool grew to a very rich VND 2,716,000,000 (~USD 116,825). Only 5 players sliced off a share. UK’s Alex Lindop shipped the largest of VND 1,160,333,000 (~USD 50,100) after defeating China’s Feng Hua Huan at heads up. This was Lindop’s first-ever victory in Asia and his first since winning a WSOP bracelet in 2015. The opening Monster Stack event set the pace for the festival with a turnout of 174 entries. To get in, players paid the VND 11,000,000 buy-in for a prize pool of VND 1,687,800,000 (~USD 72,660) generated. APT regular Michael Kim Falcon came out very strong, amassing one of the biggest stacks on opening day. At the final day, he continued to crush the field gobbling up chips from every direction to win the VND 383,346,000 (~USD 16,500) first prize. Falcon is on fire at the series. He also cashed in the High Rollers Single Day event and the Short Deck Single Day event making him one of the leaders in the APT Player of Series race. Another event with a healthy turnout was the Dafabet sponsored Head Hunter tournament. 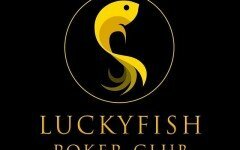 There were 113 entries for a prize pool of VND 650,880,000 (~USD 28,000). Only 19 players earned a piece. Hong Kong’s Ray Yik Yin Chua took it to the limit, defeating Norbert Koh at heads up. 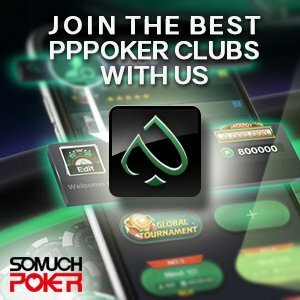 Chua pocketed the VND 163,625,000 first prize plus another VND 12,000,000 in bounty rewards. The APT Kickoff is ongoing at Pro Poker Club. The 6B GTD Championships Event is currently underway. Stick with us, we will have the festival’s final results for you as soon as it concludes.